The 2014 Compliance Report released by the U.S. State Department last week officially declared that the United States believes that "the Russian Federation is in violation of its obligations under the INF Treaty." The report, however, provides no details about the specifics of the violation, leaving plenty of room for uncertainty. The story still have more questions than answers, so this post is an attempt to summarize what do we know about the alleged violation. The little information that is available suggests that it is not related to the RS-26 ballistic missile, even though it looks like it's an intermediate-range missile that was tested once at a range that would qualify it as an ICBM. The missile will therefore be counted against the New START limits, so an argument can be made that the future RS-26 deployment will be limited by arms control obligations (unless we note that the limit will disappear once New START expires in 2021). Instead, the current controversy seems to be centered at a "new ground-launched cruise missile." At least this is what the United States, according to a New York Times story, told its NATO allies at a briefing in January 2014. Most reports immediately focused on the ground-launched cruise missile that is part of the Iskander system that Russia has been developing for some time. 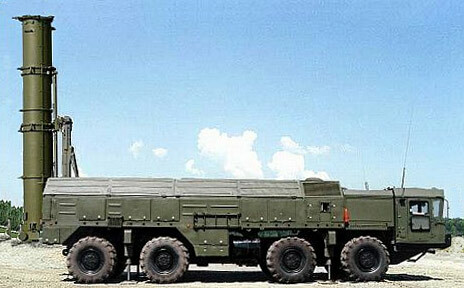 Iskander is a somewhat unusual weapon system that includes ballistic missile as well as cruise missile launchers (these systems are known as Iskander-M and Iskander-K respectively). So, it appears the the cruise missile of Iskander-K, identified as R-500, is the one that is causing all the problems. At least this is what Jeffrey Lewis of Armscontrolwonk.com and Hand Kristensen of FAS said in their posts on Russia's INF (non-)compliance. It's became a popular theory that invites a fairly straightforward political solution -- confront Russia about the violation and don't let it go until it confesses and reverses the course, just as Reagan did with the Krasnoyarsk radar and the ABM Treaty in the 1980s. Unfortunately, things seem to be a bit more complicated and a simple strategy may not work. Club-M is part of a family cruise missiles that could be deployed in a variety of ways (the Club-K could famously fit into a standard shipping container). The sea-launched version of the missile can be deployed in standard 533-mm torpedo tubes. It's a sort-range missile, though -- the 3M14 is reported to have a range of 300 km (the domestic version may have a range of 500 km). Since R-500 was touted as a new missile at the time of the May 2007 test, it would be reasonable to assume that it is somewhat different from 3M14, although it is not clear what's the difference is. One possibility is that it is integrated with the Iskander system that could include short-range ballistic missiles as well. It's tempting to suggest that R-500 has an extended range, but my guess is that it's unlikely - there is only so much one can do with a missile of a given size that has to carry a certain payload. Ted Postol and George Lewis at some point estimated that one can probably double the range in this case, but that would require significant advances in materials and propulsion. Given that 3M14 is a relatively new missile, it's somewhat unlikely that there is much room for improvement there. 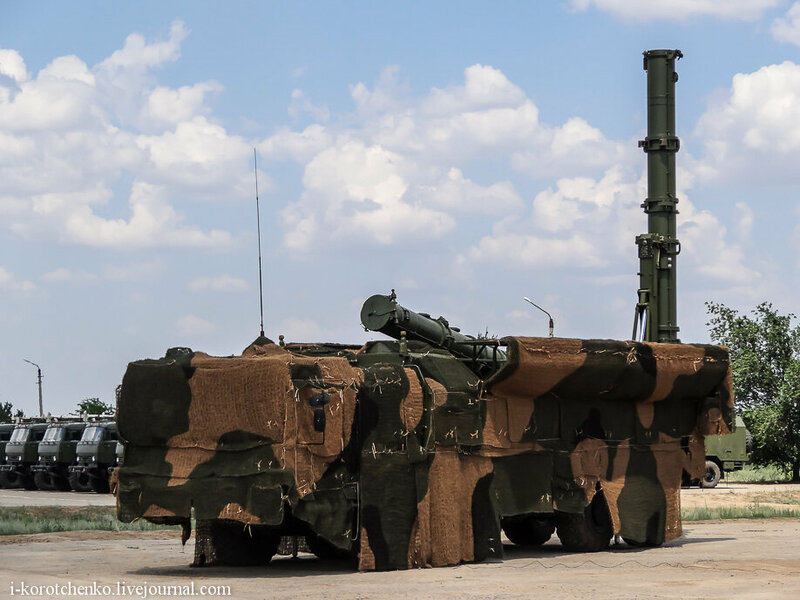 Also, if the big thing about R-500 is its integration with Iskander, then one would expect the ballistic and cruise missiles of the system to have a comparable range. 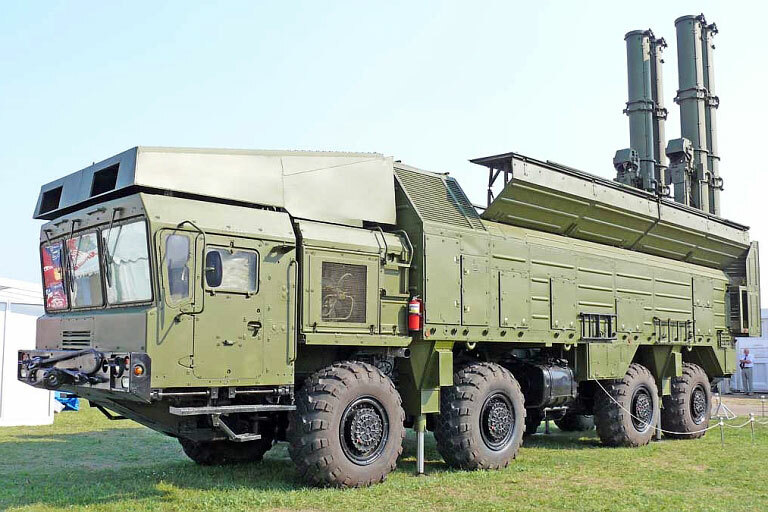 On the other hand, older (but bigger and nuclear) RK-55 Relief/SSC-X-4 and SS-N-21 have a range of about 2500-3000 km, so one should not rule out that the R-500 has a range significantly over 500 km (although 2000 km is still unlikely). I'm very much open to suggestions and ideas on this point. 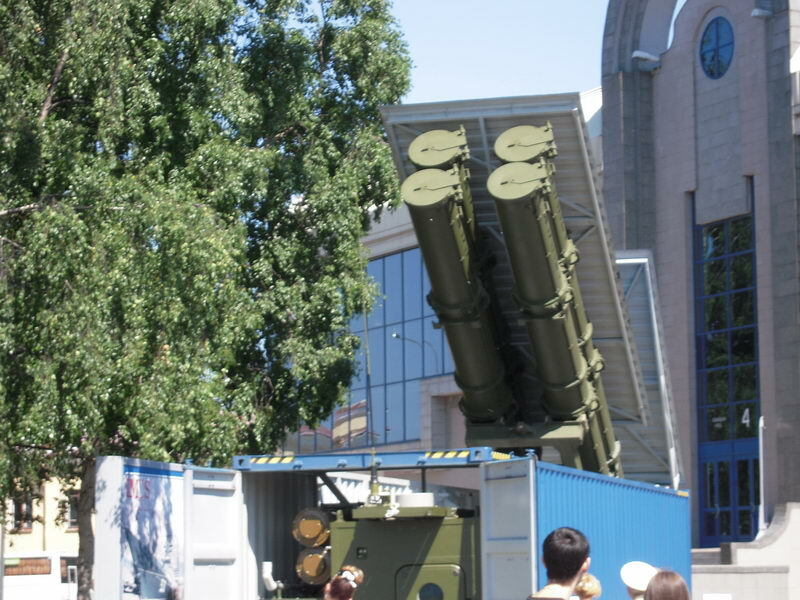 This is a photo taken in June 2013, when the industry delivered the first "complete set" of Iskander missiles to the military. It may not be obvious at a first glance, but the placement of outer rings on the Iskander-K container is different from the one on the 2009 version (see the photo above). This does not necessarily mean that the missile itself is different, but something has clearly changed since that 2007 launch. What is the same, though, is the size of the missile - the new container still appears to hold a missile that is about 6 m long - a longer container would not fit into the transporter bay. This one appears to be longer, but a closer look suggests that the difference between this container and the one from June 2013 is an attachment on top (the one with an orange cap). Since this thing would presumably still have to fit into the 7 meter-long transporter bay, this may be a temporary attachment that protects the container during the loading operation. Or maybe not - it's hard to tell from the photo. In fact, we don't really know if the cruise missile that allegedly violates the INF Treaty has anything to do with Iskander. Indeed, the little bits reported by the New York Times in January don't quite fit the Iskander theory. The NYT story said that "American officials believe Russia began conducting flight tests of the missile as early as 2008." Since the R-500 missile was tested in May 2007, it doesn't fit that description. It's possible, of course, that the missile in question is the modification of the missile that was eventually deployed with Iskander-K -- the different launch container would seem to point at this possibility. But the United States told NATO that in January 2014 the culprit GLCM had not been deployed yet -- this doesn't fit the fact that the first "complete set of Iskander" (with cruise missiles) was delivered to the military in June 2013. I wouldn't say that this information rules Iskander out, but in my view it strongly suggests that Iskander is the wrong place to look at. 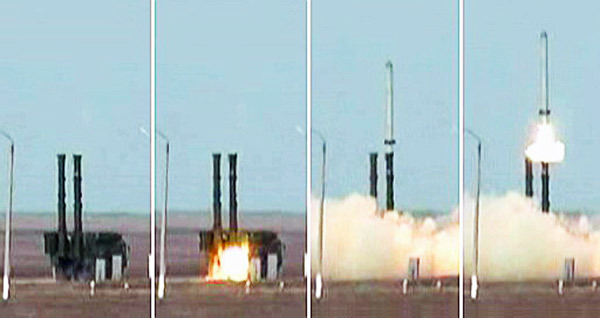 An alternative explanation, floated some time ago, is that the violation is largely a technicality having to do with the fact that the INF Treaty requires that any missile that is not a GLCM covered by the treaty should be test-launched from a "fixed land-based launcher which is used solely for test purposes and which is distinguishable from GLCM launchers." Strictly speaking, a test of a SLCM (with a range of more than 500 km) from a road-mobile launcher would mean that this SLCM would qualify as a GLCM and therefore will be a treaty violation. I have no direct evidence that would indicate that this explanation is correct, but it fits the facts much better than the Iskander/R-500 one. The evidence is very much circumstantial at this point, but the reluctance of the U.S. administration to charge Russia with a violation suggests that the case is not exactly clear-cut. It probably would not have taken the United States three years to go open with the case had Russia tested a 2000 km-range missile several times (even though, admittedly, determining the range of a cruise missile is a tricky business). Then, unless the case has something to do with the launcher, I don't see why the administration would include a specific reference to that INF Treaty clause in its 2014 Compliance Report. Also, even though Russia is hardly an exemplary law-abiding global citizen these days, I don't believe it would go ahead with a blatant and open violation of the INF Treaty conditions. Whatever complaints they may have about the treaty, the Russians are usually quite legalistic and would rather find a loophole than covertly break out of the treaty. I know that people would point out that the story of the ABM Treaty and Krasnoyarsk radar to say that the Soviet Union did just that in the past. However, that story is a bit more complicated than it may appear. Even though the radar was not exactly treaty-compliant, the Soviet Union was fully prepared to defend it and to work with the United States to clarify the ABM Treaty terms (like "located on the periphery" or "pointed outwards") to make it so. The Soviet Union had a good case in its claim that the U.S. PAVE PAWS early-warning radar in Fylingdales, U.K. was a technical violation as well (the treaty allowed an upgrade of existing radars, while PAVE PAWS was built next to the old radar, so it didn't really qualify as an upgrade). The hope in the Soviet defense ministry was that the United States would trade the violations, especially since the radar in Krasnoyarsk was clearly an early-warning rather than a treaty-prohibited battle-management radar. The politics of the moment worked against the Soviet Union, though, and the Reagan administration correctly judged that the Soviet Union was not in the position to press its case or to negotiate. This is not to say that the Obama administration was wrong in charging Russia with a violation, but its case may not be as impressive as the one that Reagan had in the 1980s -- it's one thing to point at a massive structure built in Siberia and quite another to debate fine points of interpretation of some obscure provisions of the treaty. My guess is that if it were not for the domestic pressure on Obama, he would much rather discuss this issue quietly. As for why Russia would do a test like that, I could certainly imagine a situation when it needed a launcher for one of its SLCMs and the mobile launcher seemed like a best available option - since the launch tubes are standard, it's not an implausible scenario. The alternative would be to build a new fixed one and for whatever reason that wasn't practical. As it often happens, the bottom line is that we don't have enough information to say anything definitive yet. I hope that as the story develops we will have more details. It well may be that the culprit is the Iskander cruise missile, but at this point my money is on a technicality. I actually think this may Iskander/R500, my first remark would be that just because something is delivered it does not mean it is deployed. It may sound like splitting hairs but it is an important difference. I would also not get too worried about the missiles size in relation to potential range- compare the range difference between JASSM and JASSM-ER for an example of what difference an engine change can make and if that missile fills the entire launch canister (which could be over 7m long) it would have substantial volume too. My suspicion is that the Russians have built something that sails very close to the wind when it comes to the INF treaty that will allow the US to claim it breaches it and the Russian's to claim it doesn't. In terms of Arms control though we are at a dangerous juncture, with the Russians threatening to withdraw from the INF treaty, New Start due to expire in 2021 and China and India rapidly modernising and improving their strategic nuclear forces the clouds look menacing indeed.